• to improve and to optimize products, the production thereof as well as their use. The term "product" refers not only to a material, but includes also processes and services. The definition as well as the whole procedure are standardised by ISO 14040 norm group (CEN, 1999). This norm provides a framework and defines the key methodological needs, to make LCAs comparable with each other, independent of the institutions, or country, where the LCA analysis was performed. • On the level of the United Nations Environmental Programme (UNEP) a Life Cycle Initiative was established as a response to the call from governments for a life cycle economy in the Malmö Declaration (in 2000). It contributes to the 10-year framework of programmes to promote sustainable consumption and production patterns, as requested at the World Summit on Sustainable Development (WSSD) in Johannesburg (in 2002). This initiative develops and disseminates practical tools for evaluating the opportunities, risks, and trade-offs associated with products and services over their whole life cycle (UNEP, 2007). • The European Commission (EC) launched a simplified method which condenses the basic methodology of ISO 14040 into an EXCEL calculation spreadsheet which already contains basic data on environmental impacts. The aim is to enhance the application of LCA activities in small enterprises for the environmental and climate related improvement of their products or services (VHK, 2005; UNEP, 2007). • The Society of Environmental Toxicology and Chemistry (SETAC) provides an international infrastructure to support Life Cycle Assessment groups in advancing science, practice, and application of LCA and related approaches worldwide. The organization serves as a focal point of a broad-based forum for the identification, resolution, and communication of issues regarding LCAs, and facilitates, coordinates, and provides guidance for the development and implementation of LCAs in close cooperation with each other. Core tasks include planning and organizing LCA sessions and conferences (such as the Annual Meetings in Europe and North America and the LCA Case Studies Symposium), coordination of topical working groups, preparation and global integration of LCA publications, and promotion of the UNEP/SETAC Life Cycle Initiative (UNEP, 2007). • Several countries such as Denmark and the Netherlands also have more detailed guidelines prepared for internal use, including databases for LCA activities. In Germany several calculation programmes are available free of charge in LCA procedures (e.g. GEMIS, Öko-Institut, 2006). One of the largest repositories of corporate greenhouse gas emissions data in the world is the Carbon Disclosure Project (CDP) which as a non-profit organisation is acting to facilitate a dialogue, supported by quality information, from which a rational response to climate change will emerge (CDP, 2007). • In the Goal and Scope Definition the purpose of the study and the boundary conditions are defined. • In the Life Cycle Inventory phase emission and resource data of the process under study are gathered. • In the Life Cycle Impact Assessment phase potential environmental impacts of the emissions as well as resource consumption facts gathered are analysed and quantified. • In the Interpretation phase the results are interpreted by a group consisting of the LCA team, the client, as well as of independent people interested in the topic, and conclusions are drawn. A more detailed description of the items to be worked out in the four phases and the questions follows. In this first LCA phase the purpose and the boundary conditions of the study are defined. Amongst the issues to be described the definition of the "functional unit" which captures the functions of the study is most important, since it provides the reference to which input and output are related. Some examples of functional units for climate related studies are given in table 8.3. In principle, all processes from "cradle to grave" must be included in such a study. But in practice all those processes which are identical for the products compared and thus do not influence the result, such as production efforts for machinery, can be eliminated from the scope of study. The following example of the definition of the scope for a life cycle assessment demonstrates an approach for biofuels - see table 8.4; of details the technologies see chapters 10 to 13. All technological measures dealing with manufacturing of machinery and infrastructure are excluded since these items are the same for all processes. However, there is a choice whether or not to include the production of the feedstock of the biofuel process, like agricultural inputs or raw material for processing. This depends on the aim of the analysis. Origination of the raw material, such as production, mining, or extraction. Manufacture or processing of the raw materials into the finished product. Manufacture of material inputs consumed in origination, manufacturing, or processing. Transportation of raw materials and finished products to points of use or sale. Product use, including combustion, if applicable. Disposal of waste products from manufacture and use. Manufacture of machines and physical infrastructure used in product or raw material origination, manufacturing, distribution, use, and disposal. Manufacture of machines used to manufacture materials consumed in the origination, manufacturing, distribution, use, and disposal processes. Operation of ancillary offices and activities such as business travel, not directly associated with the origination, manufacturing, distribution, use, and disposal of the product. The inventory analysis involves data gathering and calculation procedures to quantify inputs and outputs, i.e. resources and emissions. This is based on setting up flowcharts of the system under study, which contain all details of the processes and the interconnections of process steps. A definition may be necessary at this stage of the work which mass and energy fluxes are important and which eventually can be eliminated to reduce the complexity of the LCA. Indeed, a pre-condition for such a definition is knowledge about the process effects. These may be a result of previous steps in a trial and error procedure, which is typical for LCA measures. Data gathering can be a time consuming task. Potential data sources may be primary data from process studies, or from literature, or expert judgement. Also public databases, such as the GEMIS database (Öko-Institut, 2006) can be used, which offer inventory data for a large number of processes if, as is often the case, actual primary data cannot be extracted. The data have to be normalised to the functional unit. This step of the Life Cycle Assessment aims to evaluate the magnitude and the significance of the potential environmental impacts of the system under study. It involves three mandatory elements: Most important is the selection of i) impact categories, ii) indicators for these categories, and iii) models to quantify the contribution of resources and emissions to it. This also may comprise a ranking of the indicators. In the classification step, the inventory data have to be assigned to the impact categories. Afterwards, in the characterization procedure, the contribution of the inventory data has to be quantified for the chosen impacts. In life cycle assessment practice the following impact categories with specific indicators were established (see table 8.5). Table 8.5 also indicates some examples of substances which primarily influence these impact categories. Besides impact categories given in table 8.5, which are used in the LCA after ISO 14040, other criteria are used for environmental analysis, e.g. energy and material needs per unit of product, which may also have a direct or indirect effect on climate. Contribution to global warming by its heat absorption capacity. Value depends on the time horizon considered. Typically a hundred years time horizon is used. High climate relevance. Contribution to the depletion of the stratospheric ozone layer by persistent chlorine and bromine hydrocarbons. Global effects on biosphere by UV radiation, effects on human health. Also climatically relevant. Contribution to the formation of oxidizing substances, e.g. ozone, mostly by reactions between NOx and NMVOCs under the influence of UV-radiation in the troposphere. Effects on human health and ecosphere (e.g. damage of forests). No direct, but indirect climate effects. Contribution to the acidification of an environment. Regional effects. No direct climate relevance, but strong indirect relevance after aerosol particle formation. Contribution to the production of biomass. Regional effects. No direct climate relevance. Contribution to cancer risk caused by certain substances after a contact with it. Short and long term effects. No environmental effect, no climate effect. To define how much a process contributes to the impact categories, the effects of all material and energy fluxes of the relevant process steps and their individual impact have to be considered. The total of the impact category is given as the sum of the effects of all substances "k" in all process steps. An example for the calculation of the greenhouse gas potentials for two variants of a simple fictitious process is given in table 8.6 using individual GWPs of the substances k (see table 7.1; IPCC, 2007a). The process may be characterised by emissions of five substances (see both columns 3 and 4 for the two variants of the process considered) with different individual GWPs (see column 2). The resulting GWP value for each substance is given in columns 5 and 6 for the variants 1 and 2, respectively. The total GWPs will result if the values in columns 5 and 6 are summed up. In the case given, variant 2 has a lower GWP compared to variant 1. Thus variant 2 would be chosen if the decision is made only on the basis of GWP. It should be mentioned that this result is not a simple one: If only emission amounts were considered there would also have been preferences for variant 1, since there are lower emission fluxes for monochlormethane (CH3Cl), tetra-chlormethane (CCl4), and carbon dioxide (CO2). Therefore, only a combined approach leads to valide information. To reach conclusions and recommendations consistent with goal and scope of the LCA an interpretation phase is necessary where the results of the inventory analysis and the impact assessment are combined. This phase is comprised of i) the identification of the significant issues, ii) the evaluation of completeness of data, sensitivity, and consistency, as well as iii) conclusions and recommendations. Examples for LCAs are given in the next chapters for certain defined industrial, agricultural, energetic, and other processes. They focus on climate effects of the process, mainly on the greenhouse gas potential, as "mass unit CO2-eq. per mass unit of product". As was explained the LCA methodology comprises other environmental burdens as well, which have to be kept in mind for a comprehensive decision. Therefore the following example elucidates the methodology of a full LCA. All data are after Soyez (2001). The example refers to waste management technologies which are described in detail in chapter 12. • Determination of best values in (technical) compromise situations. The systems boundaries include the pre-treatment facilities and the landfill. Waste collection is not considered. Credits are given to recovered materials and energy resources. The consumption of materials and energy for the operation of the pre-treatment plants and the landfills are taken into account. Since the technologies can be set up anywhere in the world, the analysis in principle is independent of any particular country. However, for a concrete solution, German conditions are used. Reference point of the calculation is the specific contribution to the total effects of waste management in Germany, i.e. to which percentage the waste management system will contribute to the total national impact of every category if the total amount of residual waste is treated by the considered system. For waste treatment several technologies can be applied. Under EU conditions a so-called pre-treatment is necessary before deposition of waste can take place. In principle, all technologies after figure 8.2 can be applied. In the study, special waste management processes after table 8.7 are included. Technological details are described in chapter 12. Technology considered for comparison only. Not at the accepted state of the art in EU. 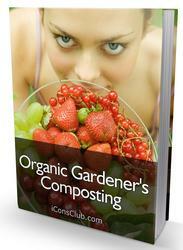 No decomposition of organic matter before the landfill. Capturing of landfill emissions and energy production from landfill gas recovery. 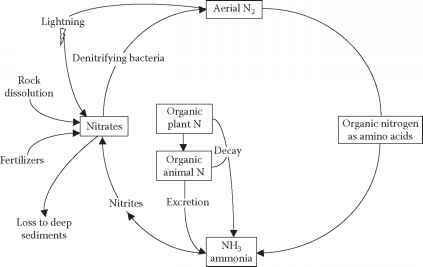 High decomposition of organic matter by intensive processing ("rotting") (e.g. 8 weeks with forced aeration) and subsequent extensive decomposition. Recovery of the metal fraction. Collection and cleaning of waste gas of the pre-treatment by a biofilter system. Conventional combustion plant with grate firing. The principal function of all technologies is the treatment of waste. Therefore, as the functional unit, the treatment of one ton of waste material is the yardstick. The impact assessment is performed using the impact categories in table 8.5. 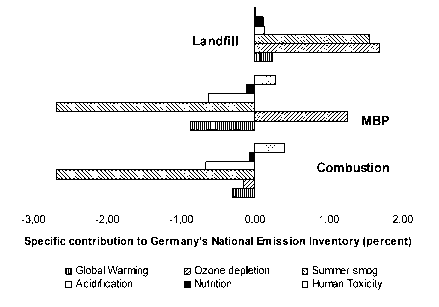 Figure 8.3 displays the results of the assessment given as contributions of selected categories to the national (in this special case: German) emission inventory. Negative values mean benefits for the environment and positive values indicate an extra burden. 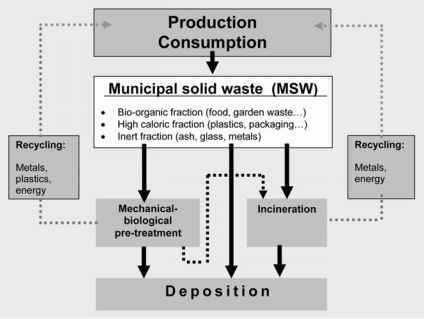 Figure 8.3 indicates, in terms of the impact categories, the environmental benefits and disadvantages of the waste management options. If a decision is to be made only on the base of one category, a clear decision would be possible in the case of summer smog potential as well as for climate impacts: Combustion and MBP are preferable options. For climate impacts alone MBP would be the best solution. Only direct deposition results in environmental burdens in every impact category considered. The other options result in both burdens and benefits. Therefore none of the waste treatment options is best in every criterion. The Global Warming Potential (GWP) is mainly caused by CO2 and CH4. The burdens result from the energy consumption and the landfill gas emissions. However, these burdens can be equalised by credits through recovery of waste fractions for recycling or power production, so that MBP and combustion end up with a climate benefit. The ozone depletion (ODP) and the summer smog potentials (POCP) of the landfill and the MBP are caused mainly by CFCs (CFC-11, CFC-12) and by highly volatile chlorinated hydrocarbons which are emitted during pre-treatment and in the landfill. The specific contributions of the burdens exceed one percent. During combustion, these substances are almost completely destroyed, so that no burdens result from them in this technology. On the other hand, in the combustion facility, energy is recovered, which results in benefits. For MBP benefits from material and energetic recovery prevail. The acidification potential (AP) is caused by SO2, NOx, and ammonia emissions, the nutrification potential (NP) by ammonia and NOx emissions. Both burdens are comparatively low and are balanced through credits for material and energy recovery. The Human Toxicity Potential is predominated by the gaseous emissions of heavy metals such as chrome, cadmium, and nickel. These metals are mobilised to a high degree when the waste or waste fraction are combusted. This option, as well as MBP option which includes the recovery of a RDF-fraction, end up with higher burdens. In the landfill a certain percentage of heavy metals can be considered to be stored over a period of several thousand years, depending on the buffer capacity and the creation of humus-like substances within in the landfill. Therefore the landfill option has the lowest Human Toxicity Potential. This chapter explained only the methodology of LCA and its application for climate control measures; details of the waste management processes considered as well as more examples of greenhouse gas effect evaluations for processes of various kinds are given in the following chapters.